The influencer tool is pretty awesome when it comes to identifying new influencers, or as we like to use it for, rating and grading current influencer relationships. I was so excited to get SocialBakers for my agency to replace our mismatch of social tools, and add an influencer tool. I was sold hard on the platform, but as soon as the paperwork was signed, realized it wasn't all it was cracked up to be. The base package doesn't include anything - no community management, no social listening, no optimal times for posting. You can upgrade at a price of $20 per social channel you manage. So far, not worth it. Ask more questions than you need to on the sales call. I was oversold and was not provided with the products we discussed via the phone. Get EVERYTHING in writing! We utilize SocialBakers for all of our organic social needs - scheduling, content approval from clients, community management, social listening, analytics and influencer search. Thank you for taking the time to update your response. We are happy to see that your account manager was able to help address and solve your concerns. If you have any questions in the future, we encourage you to reach out so we can be of assistance as soon as possible. We take customer feedback seriously and appreciate you taking the time to discuss areas of improvement with our development team. I like that it is a complete, easy and intuitive tool to use. I have used several tools and socialbakers gives you a lot of information and everything is necessary while others give you endless data that in the end does not add up or subtract you just makes the interface more complicated. And what I like most is that you also work with common formulas which allows you to compare yourself with the industry or competition. In general we have had a good relationship with the platform, obviously when Facebook or some tool fails, it also fails Socialbakers, but not because of its platform but because of the data source. It allows you many things, but I think the most important thing is that it helps you to see the results of your brands' communication strategy and even as I mentioned before it allows you to buy your indicators with those of the competition under one calculation. We are so glad to hear that you are happy with your Socialbakers Suite experience! We take customer feedback very seriously and are grateful you took the time to this review. "Best Multipurpose Social ROI Tool for the Money"
We needed an affordable, simple solution for understanding ROI in our employer branding and social recruiting efforts. Socialbakers worked with us to configure our reporting in a way that presented current results, trends over time, hashtag use, competitor comparison in ratio to community size, and Google Analytics conversion metrics. Each dashboard can easily be exported into a PDF to send, a PPT to edit and arrange within a larger presentation, or Excel for pivoting against other business reports. This tool has saved us 120 hours in manual reporting per year and helped us to quickly identify effective and ineffective content to course change strategy quickly, decreasing our average cost-per-click by 33% in less than one year. Please let us know if there is anything you need or would like to discuss. "Best analytics platform across the major social networks"
User friendly, time saver, easily monitor my client's social media channel in one platform. Socialbakers also help us a lot in making report because they provide the data that we need in just one click. So we can process the data into the comprehensive analysis at ease. The team also great! They share to me the update about social media, content to help us getting the better performance. They gives us the opportunity to discuss a lot too. - You need to spend more money if you need more insightful data or use the other feature which probably quite important for your client's insight. If anyone need social platform data insights then look no just login to socialbakers. It's that simple, easy to use, dan provide you the big data. Of course in monitoring and reporting the social media account. We are pleased to see you are using Socialbakers to manage the needs of your clients, and do our best to ensure advertising and marketing agencies can use our solution to its full potential. We are sorry to hear that you find some of our solutions a bit pricey and would be happy to discuss more packaging options if you are interested. "User friendly but everything has extra cost"
The platform is very user Friendly, it gives you very punctual information, it has a Lot of features that if you have the money and are willing to Pay, it will give you very useful information. You can download as many reports and comparitions as you want. It has a Lot of global information to compare with. Everything has extra cost. There are very good features that the Basic plan doesn't include. So, if you want them, you have to upgrade, and it isn't cheap. The costs are very High. I dont like the fact that you have to pay for every profile that you want to analyze. I think they should at least give you the opportunity to add more than 5 profiles in the Basic plan. I have tried some other social media analytics platforms, and Socialbakers it the friendliest and the one that more accurate information gives you. They have many useful features that if you have the money and are willing to Pay... this is for you! It gives me real time insights of my social networks, more complete than the ones that the social networks give you for free. They are very accurate, and there is a comparition of 365 days. The reporting is very helpful, beacuse those reports are customizable. Thank you so much for leaving this thoughtful review. We are pleased to see that you are happy with your experience and are getting the most out of your reporting! We are sorry to hear that you find some of our features out of your price range and would encourage you to reach out to your account manager or contact us at support@socialbakers.com so we can talk in person. "Great idea - but overpriced, inflexible & very poor customer service"
The competitive data is great and I like the variety of combinations and displays. Very inflexible: You can't change who your monitoring more than twice in a month, which makes it incredibly expensive if you want to follow a few competitors across a few platforms. Horrible customer service: I contact customer support for a few issues. The first time, I received really snarky responses from the team and not much help (i almost cancelled at this point because I didn't want to do business with them after that)/ The second time, it was around a billing issue (I had been billed for a month I canceled). They told me they wouldn't refund it because I had logged in multiple times that month. I pressed again, and they eventually revealed that the log ins had come from social bakers employees, not me, so they refunded it. I would make sure you have the time to use it extensively to get your money out of it. Think carefully about who you want to monitor, as you will not be able to switch between competitors & platforms more than 2 times each month. Competetive social data -- they're the best platform I've used to give a deep dive into what your competitors are doing. We’d like to express our sincere apologies for your experience with our Customer Support team. We understand that the issue was successfully resolved in the end, but it does not warrant the unsatisfactory communication you had to endure. We hold customers at the heart of what we do, and hearing that we fell short to deliver on the promise is most regrettable. The steps have been taken to ensure we learn from this. How our Customer Support team engages with each query has been evaluated, and adjustments were made. We have revised our training processes as well so that we react appropriately when cases such as yours occur. Also, we have revised the approval process for managing refund requests to prevent further errors. As we continue to grow and maintain our focus on the value we provide to marketers, we will take extra care to ensure that our customer experience grows hand in hand. "Influencers module boosts our services and prove as an effective tool"
I really appreciate flexible approach of the team, take always take time to cater to our Qs & needs and make sure they truly understand our role within the business with clients. As a manager I really enjoy many opportunities given to my team for their education and continuous improvement in using this tool so we can work more effectively and stay relevant as a parter to our clients. I have not encounter anything thet we would really dislike (so far). Thank you for taking the time to give your feedback on our services! If there is any way that we can improve your experience with Socialbakers, don’t hesitate to get in touch with us, or your account manager directly. "Makes data a bit easier"
For little money you get a huge analytics pack. Especially the intelligent features like "Primetime" and performance prediction have verifiable improved our reach on our social channels. Not much to dislike. If there ist anything, you always have your personal contact to take care of it. Sociabakers is the central anayltics tool for all our social channels, since it not only gives you important metrics you don't get on the channels themselves (like interaction rate in relation to fan number), but it also predicts your best time to post and which posts to push. Thank you for taking the time to leave such a thoughtful review. We are pleased to see that you are getting the most out of our in-depth social media data! We strive to innovate continually and are taking steps to grow the capabilities of our platform every day. "The perfect tool to maximise the big data social media platforms gives you"
The interpretation of the data that Facebook, for example gives you. It gives you a more comprehensive look and it helps us preparing the reports for our clients. The fast changing pace of social media makes it difficult for them to catch up with all the latest features, but they do a great work implementing them as fast as possible. Feel free to ask them how they can help you with your business needs. They're very open to show you the benefits you can get from Socialbakers. Reporting. Much easier, more effective and better results to share with our clients. Thank you for your review! We're happy that you chose us to be your marketing partner. And do our best to ensure that you continue to succeed on social media. We take feedback very seriously and will continue to work towards developing new features that will help you accomplish and measure your goals faster. There can be a LOT of data, and sometimes whats on the dashboard is just a taster, so you have to deep dive. Similarly, sometimes the specific reports don't have what is on the dashboard so you can do a lot of back-and-forth. Also, there are some data sets for which I would love an exact number, but it reports as a 'per 1000 users'. This is a really great, easy to use, feature packed product. I would have no reservations about recommending the product. My team use it daily and rarely have any questions about how to use it, it's so simple that a new starter can be given access and we know they will be able to figure out what they need without any problems. We appreciate that you took the time to write a review of our platform. It's great to see that you are getting the most out of our reporting capabilities, which we hope is saving you plenty of time! It's simple and intuitive. Brights data in different ways allowing new insights that usually we wouldn't get if we saw data as we used to. Allows easy access to old information. We can easily see how a campaign or group of content performed. As a Brazilian company, paying in real would be hellpfull. Also, the "campaign view" on Instagram and if this area could be integrated of all social medias whould be even more hellpfull. The analysis of how our posts in all social media are performing and insights for future contents. Thank you so much, for spending time writing this helpful review. We are happy to see that we have helped simplify your social media measurement. We thank you for your feedback and promise to discuss your concerns with our developers onsite. "Very informative, decisive, and fruitful." lots of features but Grading is a paramount tool. adding and removing accounts to the subscription is a bit of a hassle because you are restricted based on the amount you pay. If you want to take your social media to a different level then go for it but you need to have a strategy and being able to take decisions if you want to go to a higher level. My main is driving engagement and being able to know which ones are performing or not performing in an objective way. Thank you for your thoughtful review. It's good to see you are getting a lot of value out of our content intelligence tools! Putting only your best content forward is a great way to save budget and grow engagement. We are sorry to see you are unhappy with some of the pricing and are happy to discuss options with you. Comprehensive reports, Social media Monitoring, Performance Optimization ROCKS! "Great analytics tool that would benefit from more clarity on key metrics taken into account"
Social Bakers is an amazing analytics platform that is a true time-saver as it provides key metrics such as engagement rate, reach, etc. automatically. It is also great for basic competitive analysis as the platform allows for you to enter competitors' social media channels for ongoing monitoring. Social Bakers' newly launched paid media analysis is also amazing, as it gives you an insight on your competitors' paid media strategy. Not much to dislike. However, sometimes Social Bakers will change how they calculate some key numbers (such as engagement rate) and won't make it clear to their end users. It takes some research to understand how they reach their conclusions. Social Bakers is very user-friendly, even though it may not seem like it at first. I would strongly suggest diving into the platform as most everything can be understood easily. However, Social Bakers also has a great support team that has always been very responsive. First of all, thank you for taking the time to add your review for Socialbakers, and giving us your feedback on our services. We appreciate it. API restrictions as part of the data privacy changes from many social media platforms have limited social media listening’s capabilities. We apologize if this limits what you feel you can do with the tool. However if you’d like, we would be happy to schedule a demo with your account manager to explore listening’s full functionality in case there are any new tricks and tips we have that might help you make better use of the feature. We like the continuous support of the Socialbakers team and their follow up and availability to maximise the benefits of using the tool. In addition to the ease of creating our reports and combining the data we need all in one place - saving us a lot time when preparing reports. Some features can be more customised and make it easier for us to use. Also, we are not yet able to fully rely on it for reporting. Make sure you have someone dedicated to the day-to-day administration of the tool. Saving time and having all insights in one place. Also, the most important feature is the comparisons we can make without having to manually do them ourselves. Nous sommes très satisfaits de l'accompagnement de Socialbakers. Nous avons toujours beaucoup de réactivité de leur part et nous savons que nous pouvons compter sur eux. Socialbakers ne permet pas de répondre à tous nos besoins notamment dans la programmation de nos contenus sur les réseaux sociaux. Merci pour vos retours positifs. Ravi que vous soyez satisfaite du service offert par Socialbakers, et en particulier, du support fourni par nos équipes. Sur le fait que notre plateforme ne répondrait pas "à tous vos besoins", nous serions ravis d'en discuter plus précisément. Socialbakers évolue très vite et a de nouvelles fonctionnalités chaque mois. Je vous invite chaleureusement à prendre contact avec votre chargé(e) de compte. "Great graphs and tools "
The graphs are really nice and customizable. It's worth giving a shot! Try the trial out and see if it's a good solution for you and your business. So far, it's been a great resource for me. Will expand my use across the board for sure. I needed a tool that prepares nice reports for clients. It works well. "The Best Social Monitoirng Tool"
Social bakers allows me to easily monitor my client's social media profiles with ease. With a click of a button I can load all of the accounts I want to monitor. The product produces client ready reports in Powerpoint and takes all the work out of completing competitive analysis.. I dislike that you can not monitor competitor's Pinterest account. "User friendly and time saving"
The data you receive helps audit social media pages in more details. The tool compiles data that would be tedious and time consuming to pull out and shares it with you in simple, attractive formats. The larger insights and reports shared on the website, are also helpful when looking at categories. "SocialBakers in social industry "
SocialBakers is definitely the best platform ever to monitor your social performances. I’ve been using it for 5 years in my different experiences. They steadily upgrade their offer to best support their clients’ strategies. Last but not least, not only is SocialBakers a tool, but above all, they’re a team with a very good mindset. I like working with them! Jan, Niko, Damien, Manon thanks for your support! They know implemented new features that reconciliate owned and earned media. Thank you for putting in your feedback for our service! If there is any way that we can further improve your experience with Socialbakers, please don’t hesitate to get in touch. "Powerful analytics across the major social networks"
The depth and breadth of social analytics for the major networks. The ability to track evolution of statistics and content analysis is a real strength. The ability to scrape all historical content from a single URL at sensible cost is impressive. The tool gives you access to the original content but it would be very useful if some form of sentiment grading was employed on this content, allowing us to gain a sense of tone of voice for the content collected. Evaluate your need for social content: if you're looking for pure analytics, then Social Bakers could be a great fit. If you're after social listening, then you might want to look elsewhere for a different dashboard solution. We needed to conduct a global competitive benchmark across 14 brands active on 3 of the major social networks. Social Bakers was the partner of choice for this assignment. "Revisão Equipe 3AW Brasil "
Análise das concorrências. Essa possibilidade ajuda futuras estratégias de digital, levando um trabalho mais completo para os nosso clientes. Recomendo a plataforma para todas as agências de publicidade. A facilidade e atenção do atendimento está presente 100% como nenhuma outra plataforma que utilizei. Relatórios mensais bem estruturados que são levados para os clientes e mostramos resultado, análise da concorrência para futuras estratégias, aba ''Inspiration'' que atualiza a equipe com as melhores abordagens de conteúdo e podemos levar mais relevância para as nossas páginas. E por fim, as análises de horários adequados para postagens. "SocialBakers - An Easy-to-Use Analytics Tool for Your Social Media Channels"
SocialBakers is an easy-to-use, intuitive social media analytics tool that gives you a lot of control over what you want to look at for your analytic reports as well as easily showcasing what you need to present to others. Super impressive. SocialBakers doesn't have an Intelligence tool as some other products to help you get into the nitty-gritty of something you may be looking for such as campaigns or good sentiment reports. Don't expect the world of looking for specific types of tweets/social media posts. We have been able to solve creating social media analytic reports easily. "Social Bakers is Perfect except for missing website analytics"
comprehensive tool that meets your basic needs of a single dashboard for most social channels. Easy to use and visually pretty. Reasonable pricing depending on number of users. The downside however is, the metrics that matter are not kept up to speed with industry change. IE Page engagement rate is no longer as important as Reach. However Social Bakers could not capture reach, paid or unpaid. Also, it does not offer industry benchmarks unless we manually input the competitors' pages we need to include. And the pricing model is # of pages monitored, which can get pricy. a single dashboard. able to track competitors although its alot of manual labour. "it's been a very intersting journey"
i usually focus on the added value that cannot be provided by the social platforms directly - such as labeling, organized display of data and insights, inspiration, global data that we can have access to, etc. "Amazing tool with huge accessibility to data"
"I great insight tool for business and research." Socialbakers allows me to measure data from different types of medias and create the best content and strategy for my clients. I think would be helpful to have access to raw data. This way It would be easier to test hypothesis. Multiple media measurement and benchmarking. "Socialbakers - A Short Review"
Socialbakers, especially in its new guise is easy to use to monitor on company's social performance vis a vis competitors & industry standards. It enables us to better gather insights & learning on what works for our pages, as well as how our competitors are performing, which helps us in optimizing our content to garner best engagements. Socialbakers helps in attributing quantifiable performance ratings on social media contents & engagements. This data is then disseminated to management in order to further strengthen the company's social media executions & planning for social marketing. "One Of My Work Partner"
Sosbek, everybody at the office call it sosbek. I like many data display with this, it can capture dan display data in simple simple way. Beside that, the costumer service is very welcome and fast. They can solve every bugs, problem, or complaint fastly. keep it up. Very costly, we have to pay more if we want to add another social media profile to track. We can not remove publishing tools, we have another tools to publish in FB. Sosbek have predicting tools, it can predict which content will get the best perform in facebook. I used it to choose which content to publish as an ads. Thank you for taking the time to send us your feedback on our product, and we appreciate the nickname you have given the platform! We were interested to hear your thoughts on your package and the features you are using. If you have any questions or concerns regarding your current package, you can write to us at support@socialbakers.com or get in touch with your account manager. We’d be happy to see if there’s any way we can better tailor your account to your business needs. 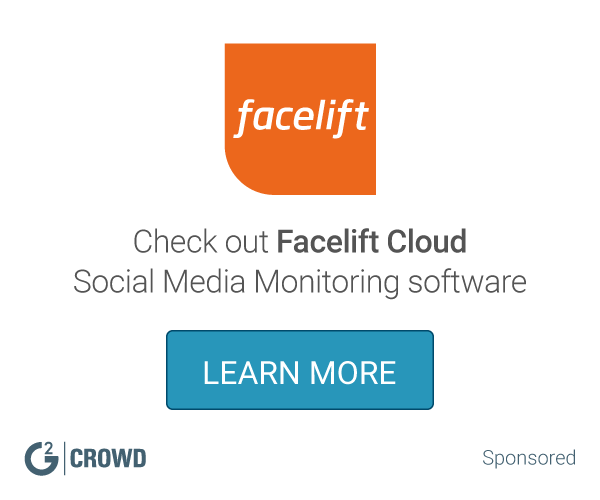 "Social media partner for the second year"
A very user-friendly and accurate monitoring tool. I wish they are more Instagram oriented (Include hashtag tracking and listening) and to develop a socialbakers mobile app. Before selecting socialbakers, we reviewed almost all the credible tools out in the market. Socialbakers was best in terms of features and was more comprehensive. However, it is pricier. Understanding the results of our social media activities and benchmark it against competitors and the market. Keeping up with our social media KPIs. "You get what you pay for - not very expensive but not too deep"
The analytics you get aren't very deep, and really aren't much different than the native analytics provided by social platforms. It just aggregates it all in one place. Do your homework and ask for use cases from Social Bakers. It may be right for you (especially given it's cost compared to larger platforms like Crimson Hexagon), but make sure you fully understand how you can utilize the platform for your company. "Great tool of working with the team"
They can sometimes be a lag in how data syncs between this application and Facebook. Social Baker also lacks a useful mobile app. The built-in analytics are great. In a previous application, had to pull data from multiple sources when attempting a competitive analysis. Now I can run a single report and be done in minutes. "Competitor Analysis at your fingertips"
I liked how SocialBakers provided a full overview of competitor analysis for your social media channels. I did not like how we were limited to the number of competitor and owned channels that we could load into our account based on the level of subscription that we had. Keep in mind that a lot of their support team is not based in the United States and it can sometimes be difficult to schedule appointment times to meet with them regularly. We solved our issues of not knowing how our competitors were performing on their social media channels. "Authentic Social Insights - trust me"
Socialbakers is the only place where I visit every alternate day to check insights of my work verses competitors. This is the best place to get social plathfrom insights. I do not have any dislike for socialbakers. I think they are doing best and I feel they know well what they are doing. If anyone need social plathform data insights then look no where just login to socialbakers. It's that simple. As we are digital agency we solve lots of problem through socialbakers. For an example the benefits we have realized afte using socialbakers is we can get authentic insights / data for comparing. "Great tool for your Social Media Pages." - Socialbakers is easy to use and sharing content faster and easier. - Informative reports to be pulled through PDF files. "Great Source for Social Media"
I like how you can try Socialbakers out before purchasing the software, as it is a great tool for social media research and information. I like how we can monitor our pages along with competitors tonsee the whole picture. The navigation of the site is not the most user friendly, and I would like it if it wasn’t as hard to link social accounts. Use the trial and convince your employer to use this! We are using Socialbakers to monitor our social media and hopefully grow our following. "Great Global Ranking Monitoring Tool"
Easy to use and easy to move between categories. Mainly we use for twitter, but supports all social media type accounts/monitoring. Wish they did a better job categorizing user profiles. As some users are missing from country lists and from major categories just to do the way the user input the data in twitter. Try it with the free service. Being able to monitor competitor growth in global markets as well as local market insights. "Very Good Tool for social analytics"
Possibility to have a comparison with your brands and competitors. Great tool for social analytics, social KPI and social metrics. It works very well with all main social network. Nothing in particular. It's pretty fast in elaboration of data. Graphic is good too. "Great Option for Holistic Social Media Metrics"
Ability to gain great insight into competitor engagement and investment. When compared to other metrics solutions, I have no complaints about SocialBakers. Set up a call with a rep, because you will probably be very impressed with the capabilities and the price. Providing a truly holistic view of social media performance and ability to easily track competitor success and investment. It's allowed us to think smarter about social media and easily set benchmarks for ROI. "A great tool for content across multiple spans of channel development"
We used it to embark on several key levels of social listening outside of the various components we've developed. This was the MOST robust tool for that! By far. We no longer even bother incorporating performance variation into silo development. The logo seems a bit unclear with the platforms original intent. We would consider a logo refresh. If you need richer data or access to competitive social information, this is the best product on the market. We're trying to track ROI on current platform development. Social Barkers has gotten us closer to this evaluation, at elevation scale. A little slow on developing updates and new features, that has been launched through Facebook e.g. As an agency it is always about showing kind of ROIs on what we spend on social media channels. Socialbakers enables us to show our clients what they really achieve. The easy accesibility to all of the information, and rankings. It gives you a lot of really useful information. If you are using the reports, just check first that there is information from the country you are looking for. Its really useful to see who is working good and what people in each country follow. Since I'm handling the social media for a big group (43 subsidiaries), Socialbakers become a MUST! "Amazing service and features to help you"
All builder features that help you keep track of what is happening on your channels and make sure you are very prompt with your responses. Nothing, but would like for an option to allow me to mark all related comments to one post as done or ask for a certain start date. Response rate and percentage is as good and nothing get lost. "Socialbakers is good, but not that good,"
Socialbakers pulls all the relevant information you could want from your social accounts, including enhanced Facebook insights, and allows you to view them all in one place. Socialbakers is straight up ugly and clunky to use. A dramatic improvement effort needs to be taken in order to ensure that the user has the best experience possible. Social media tracking and analytics that follow. I use the analytics to improve upon all my following posts. the marketing suite, it allows me to quickly identify what works well and what doesn't to give clear strategical guidelines to the business. the Visualitzation is very simple and helpful, people grasp it without any statistical background required and we can iteratively display different information very fast. Mostly waht content, paid search, SEO and pages work on social media, in social media listening ,to be more responsive to users need at an accelerated pace. It is also very useful for crisis management. "SocialBakers is a good tool to analyse the performance of the brand"
Primetime is a pretty good tool and the performance prediction tab helps a lot to better understand the content behaivor. The listening tab is pretty basic so we need to use other tools, it would be great to have a good listening algorithm where yo can have mentions of any date, with Instagram integrated and with more data. Their interface and easy to understand system. Their vision, non sense metrics, false engagement rates. You should find another solution, they became a commodity, which means their only vision is to make more money instead of optimizing the technology. Community Control, Content Creation, Content Optimization. "The real solution for my social media needs"
* We monitor all Socialbakers reviews to prevent fraudulent reviews and keep review quality high. We do not post reviews by company employees or direct competitors. Validated reviews require the user to submit a screenshot of the product containing their user ID, in order to verify a user is an actual user of the product.